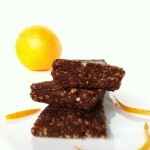 As you know I’m always trying to come up with protein balanced healthy snacks that are quick-to-grab and taste amazing. 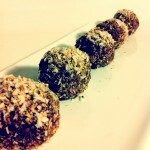 Lately I cannot stop making these protein ball recipes! They are too fun! They taste too good and I’m too excited to not share them! There’s no way for me to name these without there being a somewhat funny connotation in the name. Here are some things I have called them: Power Balls, Power House Protein Balls, Joy Balls, Super Balls, Energy Balls, Fun Balls, and Tasty Balls… Like seriously… I know. But isn’t that part of the fun? The best name yet came today through DAMY Member Jennifer. 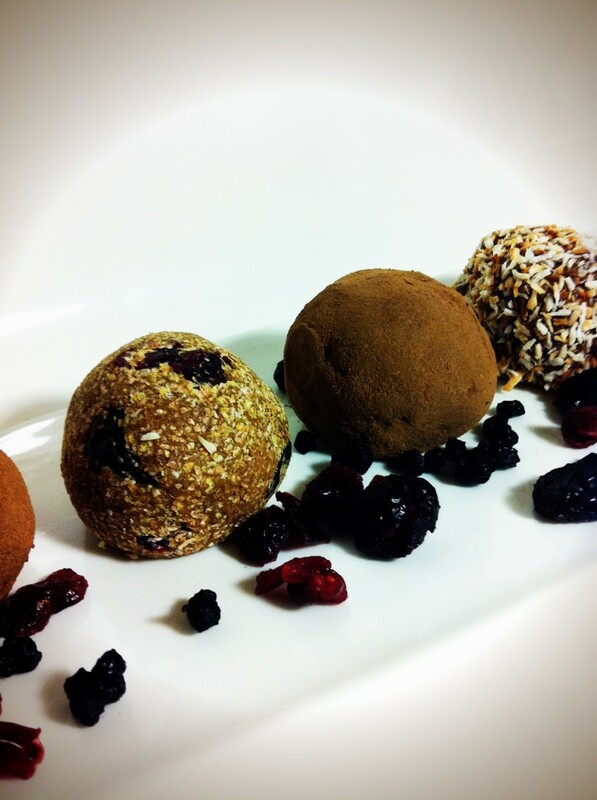 Her children have renamed the Protein Balls… wait for it… “Munchkins!” Isn’t that the cutest thing you’ve ever heard? I laughed so hard. I love it! So here are this week’s Munchkins! *PS. 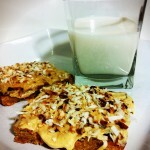 If you’re obsessed with these raw, protein creations I’ve been coming up with here are some posts you may be interested in. I also through in my favourite cookies! For DAMY Members two of these are great for meal 2. Add your two cups of almonds to your food processor and blend until it is flour. Add your 3 scoops protein powder and 1/4 cup ground flax. Pulse until blended. Add the vanilla extract, lemon juice, lemon zest, dates, and water. Blend until dough texture. Remove the dough from the food processor and place in a bowl. Hand mix blueberries into mixture. 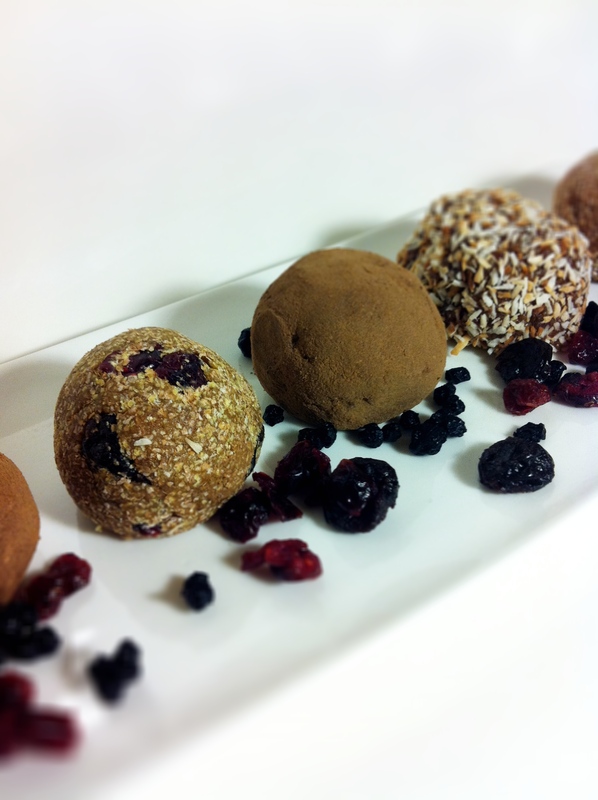 Begin rolling protein balls into 1 inch balls. 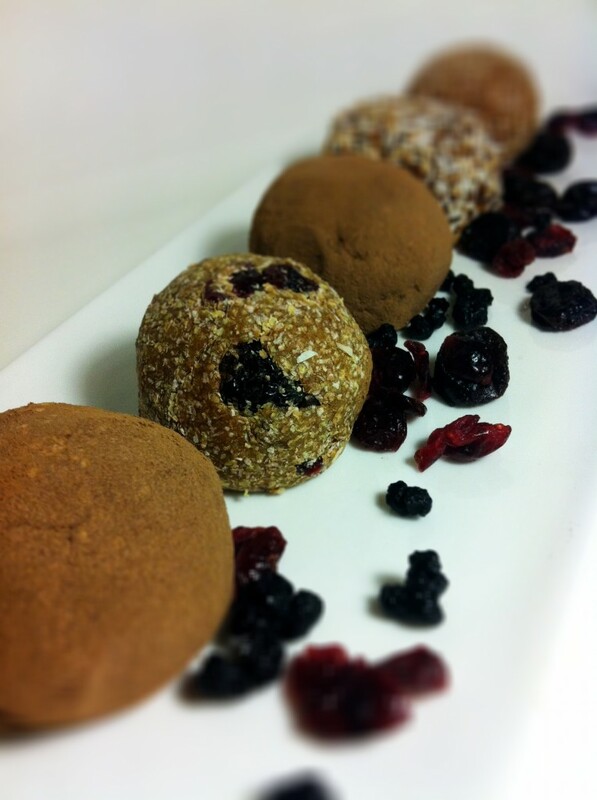 Roll protein balls in wheat germ until completely covered. Recommended serving is 2 Blueberry Muffin Protein Balls. Add your two cups of pecans to your food processor and blend until it is in small pieces. Hand mix cherries into mixture. 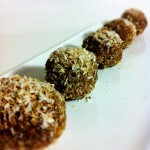 Roll protein balls in toasted coconut until completely covered. 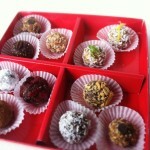 Recommended serving is 2 Cherry Pie Protein Balls. Add the vanilla extract, 1 Tbsp cocoa powder, dates, and water. Blend until dough texture. Hand mix cranberries into mixture. 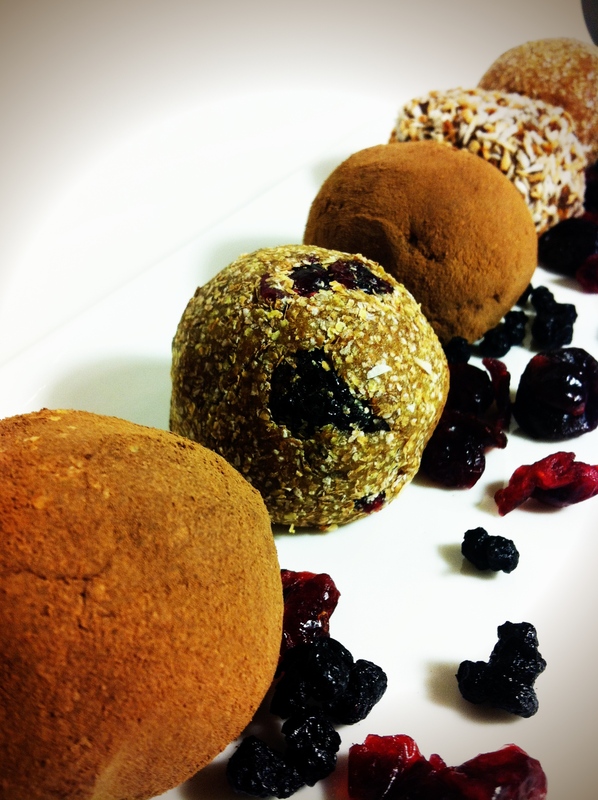 Roll protein balls in cocoa until completely covered. Recommended serving is 2 Chocolate Cranberry Truffle Protein Balls.